Each player can get only one cashback per week. Players will only qualify for the cashback if they have wagered the deposits made at least once. How to Claim the the Weekly Cashback Bonus at LSbet Casino? 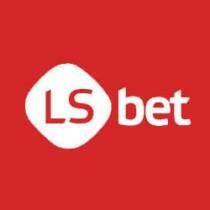 Enjoy playing at LSbet casino throughout the week. Wager all the deposits atleast once. Either contact live chat or send an email to support to request the cashback. If you qualify, the cashback will be added to your account within 24 hours after your request is received. Repeat the above steps once every week to make maximum out of this promotional offer. The cashback credited must be wagered at-least 10 times before any withdrawal. The contribution of different games towards the wagering may vary and should be checked before you start playing. The cashback credited will be added to the account of the players on every Monday and is valid until 23:59 GMT Tuesday. This bonus is credited to the account of the players on every Monday. 10% cashback on the net losses incurred throughout the week will be added to the account of the players. Cashback will be calculated on the losses incurred between 00:00 GMT Monday to 23:59 GMT Sunday every week. The maximum and the minimum cashback that a player can are capped at €10 and €1000 respectively. The cash back bonus will be added to your account after 24 hours of either contacting the live chat or sending an email requesting for it. Apart from LSbet Casino bonuses & promotions, find other latest casino promotions ranging between No Deposit & Deposit Bonuses along with their bonus/promo codes here!